Treasure Nile will have you cruising all around Egypt looking for the hidden goodies. This slot machine has classical features and many bonuses just waiting to be triggered. 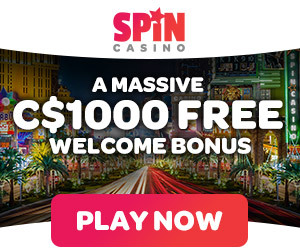 It does not matter if you are a beginner or a pro at uncovering buried treasures since this slot machine has 5 hot reel and 9 mouth watering paylines. The progressive jackpot is always growing until someone hits the right spot. The slot machine even has graphics in the background that represent this era. The sounds will sometimes leave you looking around wondering just where the Cobra snake is lurking. Keep an eye out for the wilds while playing. Unlike many slot machines that offer one wild, Treasure Nile has two wilds to help the winnings stack up. There is the beautiful Pharoah and Pyramids of great heights. Match any of these with to like symbols and win. Usually when people were scared they would scatter all over the place. In Treasure Nile a scatter means something good just happened. When the little Scarab beetle lands on the reels it will only take three to trigger the coins landing in your lap. The beetle is actually considered sacred since the more that land the bigger amount of money that will be won. When playing on the slots that are progressive jackpots it means there is no limit how big they can grow. Every time a player adds money to the machine and pulls on the handle the pot grows until it is won. How do you hit the jackpot? It will take the beautiful Pharoah appearing on all the ninth paylines for the jackpot to be won. It is not uncommon for the progressive jackpot to succeed the £300,000 mark!